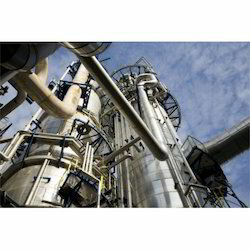 High Pressure Reactor offered find application in petrochemical industry as well as other industry sectors and can be made available in different finish inner diameters as well as pressure handling capacities of 1,600 bar and others as demanded by the customers. Our rich experience in this field allows us to offer many advantages in this field including in the construction of reactors that can be delivered as per process licenses. Further, our in-depth engineering know-how also helps us to further develop the technology support and deliver advanced process functional support in the systems offered. The precision handling of project management, engineering as well as fabrication support also allows us to offer equipment at competitive prices. 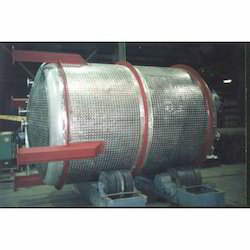 Process Reactor offered find application in solvent as well as in fusion process and comprise end solutions like reflux condensers, cooking vessels, separators, thinning vessels and others in different technical specifications. These optimum performance based reactors find application in industry sectors like food & beverage, chemical and others and can be made available in different quality tested metal options like stainless steel, hastelloy and others. Here, we ensure these are stringently checked so as to ensure in these long service life as well as crack resistant and leakage proof finish. Jacketed Reactor offered find extensive applications in Chemical industry as well as in R&D sector. These are designed to handle sizes from 250mL to 20L and more as per the specifications provided by the customers. Further, these are available in a range of finish configurations so as to suit laboratory as well as other process support applications including low & high-pressure reactions, process optimization, crystallization, polymerization, synthesis and others. Here, our team also ensures that these are easy to use as well as come with both manual and software control options as desired by the customers. Chemical Reactor Vessel offered find wide application in different industry sectors for handling end applications like mixing, dissolution chemical reactions, blending and others. 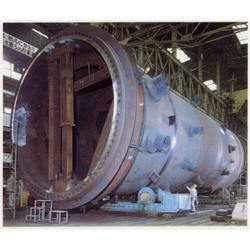 The construction of these reactor vessels using premium quality materials as well as advanced technology support also allows it to easily handle high pressure and temperature bearing capacities. Further, we can make these in different cooling mechanisms including External Limpet Type and Jacket Type options with possible variants including Anchor and Turbine options. 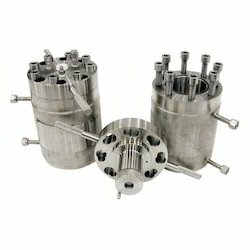 Looking for High Pressure Reactor ?